Our faculty members have expertise and experience in Nanotechnology, Materials Science, Optics and Photonics, Meteorological Observations, Modeling and Forecast, Computational Sciences, Renewable Energy, Earth and Space Science, and Science Education. Our department faculty members and students are active in a number of exciting fields of research in experimental condensed matter physics, theoretical condensed matter physics, earth system science, astronomy, atmospheric sciences and physics education. The department’s vision is to improve the teaching and learning of mathematics and science throughout the State of Mississippi. It brings the latest results of learning research and state-of-the-art technologies into the classroom with the collaboration of the Mississippi Science Partnership. 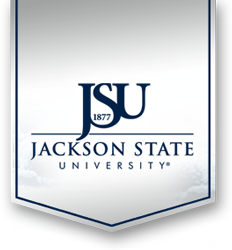 The Department of Physics, Atmospheric Sciences, and Geoscience offers a broad variety of undergraduate courses, for majors (including physics, meteorology and earth system science) and service courses for other majors at JSU. The Department of Physics, Atmospheric Science, and Geoscience graduate studies lead to the Masters in Science Teaching (MST) degree in Science Education with a concentration in General Science. The department also offers Masters and Ph.D. programs in physical science concentrations in Computational and Data Enabled Sciences and Engineering.